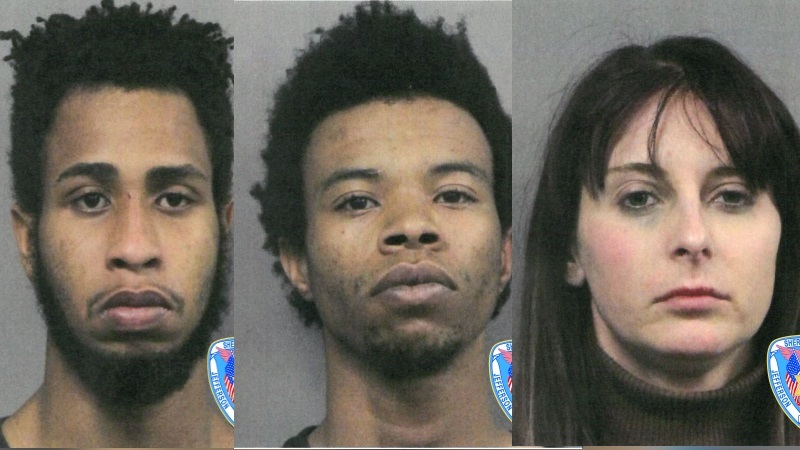 GONZALES - Three people are in custody following an investigation into a body found in a Gonzales ditch Tuesday, officials with the Jefferson Parish Sheriff's Department said. Sources said officers from the Gonzales Police Department were dispatched around 3 p.m. to a clearing between Vesta Trailer Park and Verna Street. Upon arrival, officers found a deceased male who had been shot multiple times. The victim has been identified as 20-year-old Francisco Nieves of Gretna, who authorities say had been reported missing. Further investigation led authorities from Jefferson Parish to confirm that the homicide did not occur in the city. The Jefferson Parish Sheriff's Office took over the investigation shortly after the body was found. "Residents within Gonzales can rest assured that no murder took place in Gonzales today," said Chief of Police Sherman Jackson. "Our Officers and detectives, with the assistance of the Jefferson Parish Sheriff’s Office were able to confirm this. Our department will not be making any further statements so as not to impede a fellow law enforcement agency’s investigation." -Stefanie Encisco, 31, of Covington has been charged with accessory after the fact to second-degree murder, and obstruction of justice to second-degree murder. The investigation is still ongoing. Details are expected as the investigation continues.